Since Martin McGuinness claimed on Inside Politics that selection at 14 was the consensus position the BBC were quick to add their seal of approval. Interestingly they provide no evidence on what they base this “consensus”. For a cabal of “educationalists” and civic society to use a compliant media to misrepresent the parental view is nothing short of bias on the part of the BBC. It is likely that the Belfast Telegraph will conduct a poll and the replies (probably already in preparation) will be used to suggest that selection at 14 is the answer to the “deregulated” system causing such a headache for those who cannot come up with an agreed legal system for transfer at 11. Kathryn Torney, education correspondent, has already suggested that the DUP should agree a shift away from their St Andrews Agreement position. 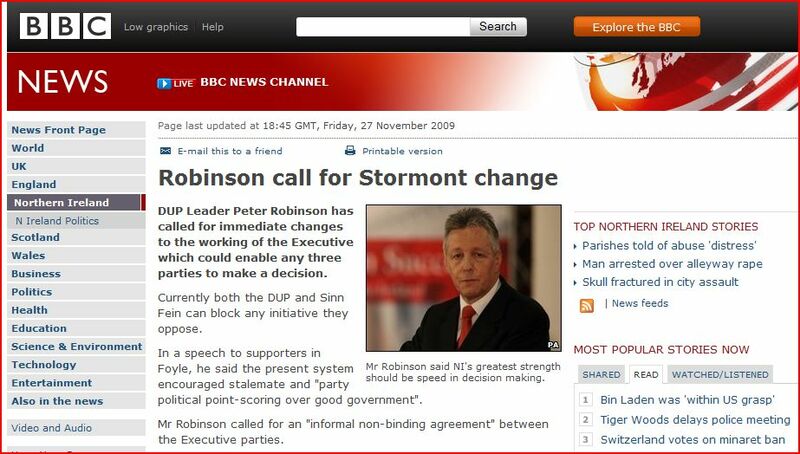 It remains to see if the DUP are the willing lapdogs of the media.